A few weeks ago I had a lovely gift from Ken Cukier, who writes for the Economist out of Tokyo, and was responsible for the Deluge of Data special report last year. 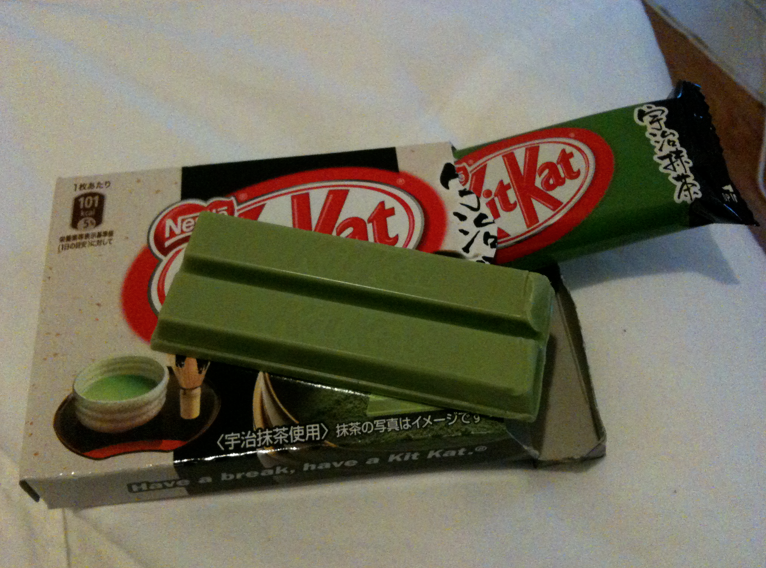 Who knew Nestlé had the mad food science skills to create a green tea kit kat? I actually hesitated about eating it, I wanted to keep it as a conversation piece, but in the end I couldn't resist. It was unusual but delicious, a bit like white chocolate but with a distinct tea flavor. I'm posting this both as a thank-you to Ken, and in the hope it will encourage other friends to ply me with exotic candy from around the world, it's a trend I like! « Am I wrong about queues being Satan’s little helpers?